I got an email from a distraught parent the other day. She described a scene where the coach was screaming at the girls after a loss. She was beside herself at how the coach treated the girls. He was demeaning, he was loud and scary, and he had lost perspective on the age he was coaching. She said at one point the coach barked “You’re not here to have fun! You are here to work!” The coach felt the girls were not trying hard enough, were not fully engaged, and did not want to win as badly as he did. The worse they played, the more frustrated he got. The girls were 8-years old! This mom was so upset this one conversation would turn her child away from sports. She wanted her daughter to share the same lifelong passion and pursuit of a sport that she did. She wanted her daughter to have the great memories and experiences she had. She wanted her daughter to have fun first and worry about “work” later. They don’t! Fun and Competition are NOT mutually exclusive. Youth Sports should be both! There is this overwhelming myth in sports that fun and competitiveness cannot coexist. To have one, you cannot have the other, and at some point, we have to choose between whether we are there to have fun in our sports experience or to compete. This is a patently false myth. From the youth to the professional level, they coexist. Look at some of the world’s greatest athletes and ask yourself “are they having fun”? The Brazilian soccer star Ronaldinho was always seen smiling. Peyton Manning had so much fun he even made commercials poking fun at the ultra-competitive nature of pro sports. Julie Foudy, the World Cup, and Olympic Champion told us on our podcast that there was never a game when she did not start laughing hysterically. The list goes on and on. No one doubts these athlete’s competitiveness. They sure had a lot of fun doing it, though! Fun and competition do not exist at polar ends of a continuum in youth sports. In fact, fun and competition can actually be the same concept for kids. Fun is not about deriving pleasure at all times from an activity. Having fun is more about “enjoyment” of the activity. So what is enjoyment? Have you ever run a marathon? As we often say at our talks, during mile 20-26 of your marathon, do you experience any pleasure? If you are like most, probably not. You probably had cramps in places you didn’t know you had muscles. But you can still enjoy running. 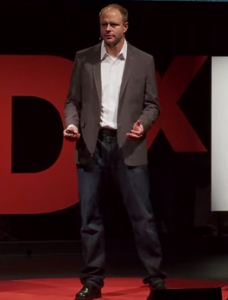 Sports does not always have to be pleasurable; it can be demanding and challenging. Yet this can still be enjoyable, and enjoyment is a critical ingredient. 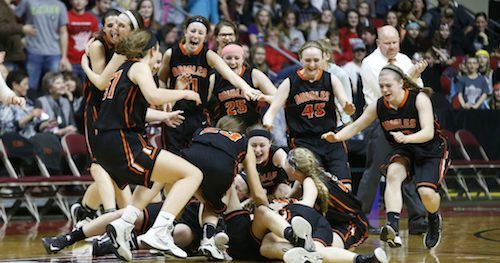 A while back, we wrote about the 3 critical ingredients of youth sport: enjoyment, autonomy, and intrinsic motivation. The foundation is enjoyment. Enjoyment is about the satisfaction of improving and achieving your goals. It is about being in the moment. Enjoyment also attaches to an experience of autonomy. People who have greater control over their own experiences, tend to naturally enjoy them more. As we have more and more autonomy, we feel more satisfied with the experience and find more joy in it. This ownership gives rise to intrinsic motivation. We do not perform the activity for anyone or anything outside of us but do it for some internal motivation. We enjoy doing it because it is ours to do and control, and it gives us a deep sense of personal satisfaction. Does this mean we will always derive pleasure from the activity? Goodness no. Many of us will look at a tough practice, a hard-fought loss, or a bad day in the trenches and think kids will not stick it out because it did not bring them pleasure. Others believe we will never see that hard-fought game or the grind in the trenches because we are making the game too pleasurable and not making it challenging. Pleasure is not the goal of making sports fun. Enjoyment is the goal. Those activities do bring enjoyment with the right approach. Fun is the main reason children play sports. Every piece of research ever done, every survey ever taken, or every time we ask the children, the primary answer for why they play is fun. Adults think fun for kids is goofing off, not listening, and not being serious. Children don’t define fun this way. In fact, Amanda Visek, in her groundbreaking Fun Maps research, decided to ask children to help her define fun. What she discovered was that children have 81 different determinants for having fun in sports! How do they define fun? Fun is working hard. It is being challenged and competing. It is learning a new skill, being with friends, having a coach that cares, getting compliments from coaches, and a coach who respects them. 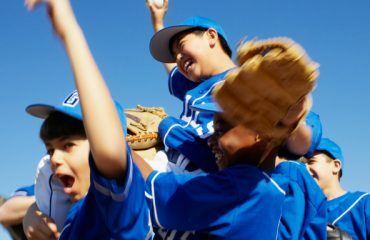 Fun in sports for kids means learning from mistakes, working together as a team, applying a skill you learned in practice in a game, improving athletic skills to play at the next level, playing against an evenly matched team, and winning. Fun is getting playing time! Yes, winning is part of the fun for kids. It is not the most important, factor, though, coming in at a lowly 48 out of 81 when the determinants are prioritized. What we should glean from this short list of fun determinants is that children see many varying things as fun. Their definition of fun is quite encompassing. They really know how to make anything fun! Two, their definitions of fun incorporate nearly all the facets of youth sport we, as adults, hope it will accomplish for them. If we made sports about fun, following their 81 determinants as a roadmap, it would fulfill their needs and our wishes for youth sports! We will create an experience that fully engages children, keeps them playing for a long time, helps them develop vital skills in the game and beyond, and still achieves our adult-imposed goals on the whole thing. That is a win-win for everyone. They would play more, play longer, and play better if we only made it about fun. Amanda Visek is now working on the “Not Fun Maps,” because she also discovered children quit sports when they no longer have fun. It is the number one reason they quit, and she wants to know how they define “Not Fun” so we can stop making it not fun. While the research is not yet published, as she shared with us on our podcast with her, most of the “not fun” determinants have to do with adults! If we force the fun from youth sports, we risk losing the kids completely. If they are not in sports, we miss this chance to use it as the vehicle for life skills, strong values, great role models that we so desperately want for our kids. It should be our primary goal to make sports fun, modeled after how kids define it, so we are building amazing people beyond the game. If youth sports is fun, will kids compete less? Last but not least, enjoyment! This type of environment reflects Visek’s fun determinants, for as you dig deeper kids define fun as competing, being strong and confident, playing hard, setting and achieving goals, being challenged to improve and get better, practicing with specialty trainers, scrimmaging during practice, playing against an evenly matched team, playing in tournaments, and even winning medals and trophies. This list is how we would define competition. This list is all inclusive of everything many coaches argue is lost when we focus on fun, and yet, kids are telling us these things are still fun for them. Wringing the fun out of youth sports won’t make kids compete more. It will make them compete less. Play games in training, lots of them: if you want people to compete at game speed, make it look like a game. At a minimum, 60-70% of your training should be game based. Add defenders, add constraints if you like, coach through the game, but play and players will compete. Focus on values such as fearlessness and accountability: if athletes are not afraid to make mistakes, and are willing to be held accountable when they do not bring the right effort and focus, they will compete harder. This is what the best professional coaches do (see for example Karch Kiraly and USA Volleyball) and you should too. Stop yelling at players for technical errors: nothing stops a player competing faster than getting yelled at for every mistake. If they compete with 100% focus and effort and still make a mistake, they are entitled to that. That is called learning. Play for something: Let the winners earn something for winning in training. At times, you can even let your athletes decide what the winners get for winning. It might be picking up cones, a quick physical activity, making a rule in the next game, but let the winners actually win something and people will compete. Stay on schedule: nothing diminishes competitiveness more than when athletes do not know when practice will end, or an activity will end. You are better off playing in shorter intense practice activities than longer, drawn-out ones. How can you go all out when you don’t know when an activity ends, or if practice ends in 10 minutes or 30? Stick to the schedule so players can monitor their effort and hold nothing back. Give them ownership: Whether it is choosing the game, deciding on the practice topic, or “running” halftime, when kids are given ownership, their enjoyment will increase and with it that competitive fire will be stoked because they are competing to prove their ideas correct. Can sports be both fun and competitive? You bet it can. Actually, it should be. If sports isn’t fun, kids quit. And if they quit, we lose the opportunity to impact their lives for decades to come. We miss that chance to change a life. That should scare us more than anything else. As coaches, our greatest fear should not be losing the game we had a chance to win, it should be losing the kids we had a chance to transform. Make your practices and games a boatload of fun. Add competitive games to your sessions. Find an appropriate level of competition. And let them compete. And when the game ends, move on. It’s play. It’s fun..and it’s competitive, but it’s play. Just let the kids play, and the kids will compete. 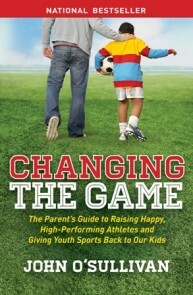 When Will What We Know Change What We Do in Youth Sports?